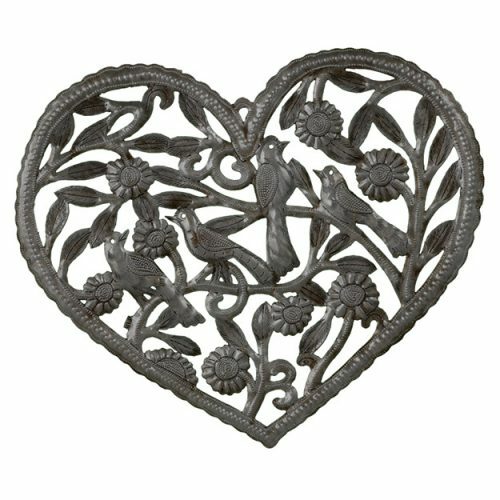 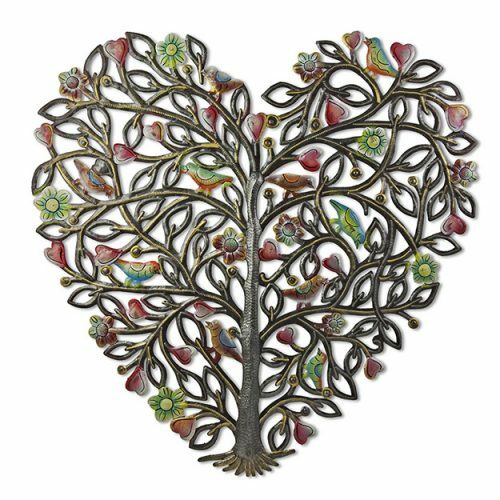 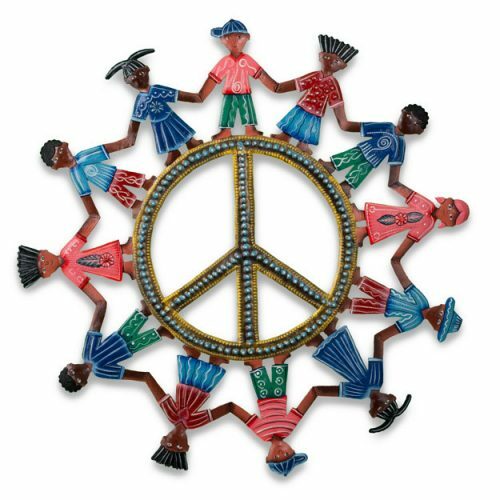 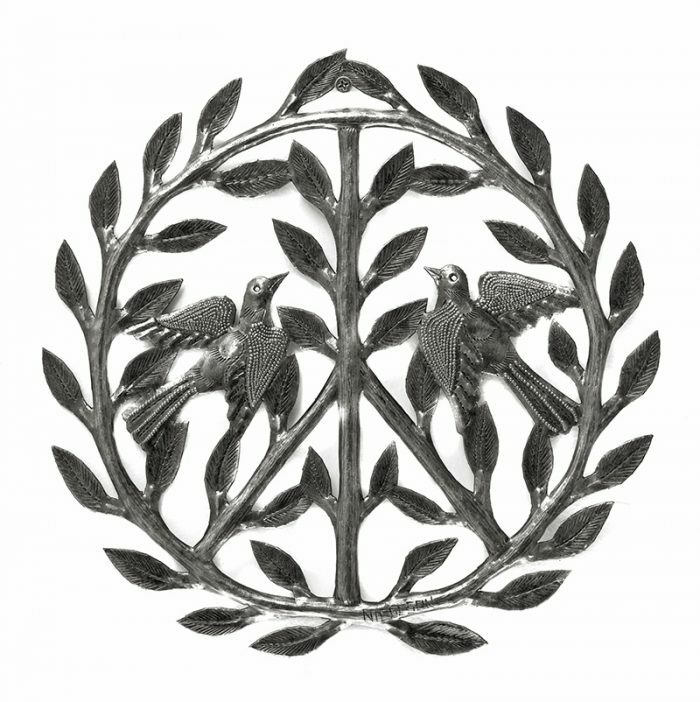 Fast becoming a Haitian metal art classic, this peace symbol is adorned with leaves and birds. 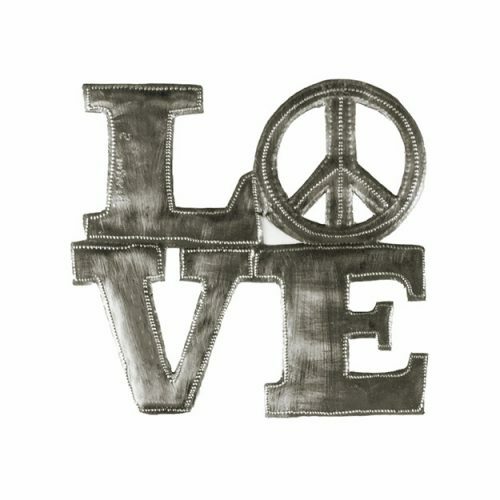 Created by Nicolson Mathieu. 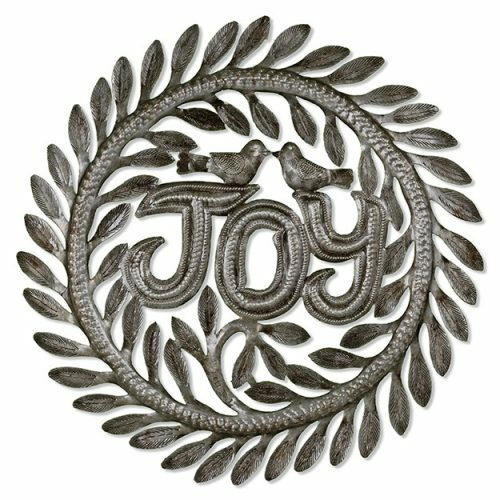 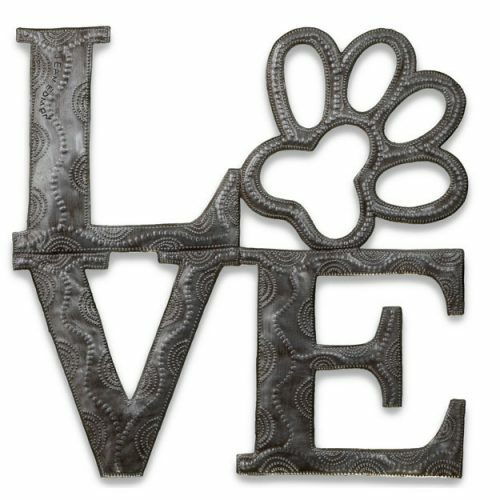 We Love the Story of How Haitian Metal Art Began!